A look at how to mine for various resources, gems, and materials in Warframe’s new Plains of Eidolon update. If you’ve been exploring the Plains of Eidolon in Warframe, you may eventually find yourself wondering how to mine for resources, gems, and materials. Having trouble finding the Plains of Eidolon? Be sure to recap our guide on how to reach the Plains of Eidolon in Warframe. 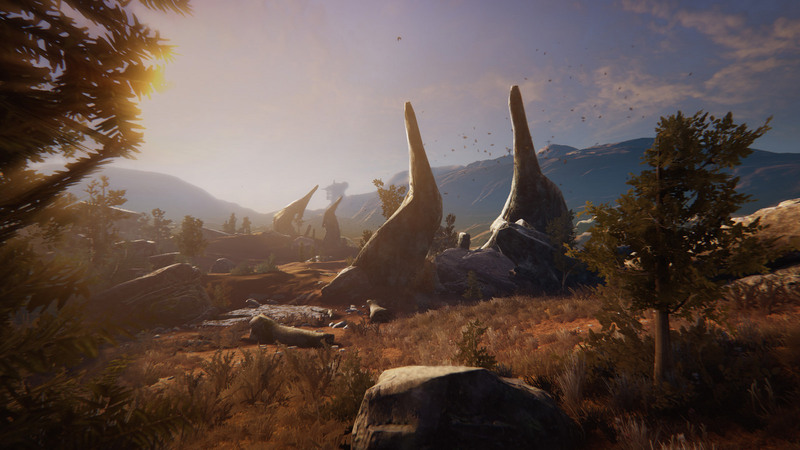 Upon reaching the Plains of Eidolon, you’ll need to complete a few tasks before you can mine. To help make everything easier, we’ve put together a quick guide on how to mine in Warframe: Plains of Eidolon. 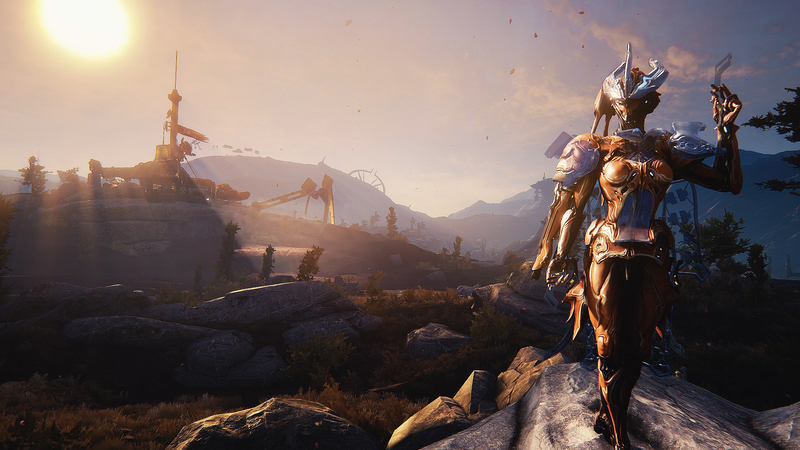 Below, we'll walk you through the steps needed to mine in Warframe: Plains of Eidolon. The first step when it comes to learning how to mine in Warframe: Plains of Eidolon is heading to the marketplace in Plains of Eidolon. There, you’ll want to complete offered Bounties in order to rack up Ostron Points. The reason is that in order to mine in Warframe: Plains of Eidolon, you’ll need to purchase a Nosam Cutter from Old Man Suumbaat. This Nosram Cutter can be purchased in exchange for 500 Ostron Points. As such, continue completing Bounties in the Plains of Eidolon marketplace until you’ve earned 500 Ostron Points. Then, purchase your Nosam Cutter from Old Man Suumbaat. The Nosam Cutter, when equipped in your Gear section, enhances your cybernetics used to locate nearby resources and materials. It can even help buff your chances of mining rare Eidolon gems. Once you have your Nosam Cutter, head out in search of mining areas in Warframe: Plains of Eidolon. With your Nosam Cutter equipped, head out in search of a decent mining area. If you look at the left side of your HUD, you’ll note icons that indicate how many resources and materials are in the area. On the right side of your HUD, you’ll spot how far you are from the nearest resource in meters. In addition, keep an eye out for color patches in the area if you’re looking to mine a specific resource. For example, red patches indicate metals and minerals that can be used for crafting while blue patches indicate gems that can be used to increase standing points. When you’ve located a mining node, simply fire your laser at the node and move the laser until the bar at the top fills completely. Once filled, you’ll be able to acquire your resources, materials, or gems. And that’s all there is to it! Now that you know the basics of mining in Warframe: Plains of Eidolon, what will you mine for first? Let us know down in the comments below. By reading through this guide, you should now know how to mine for resources, gems, and materials in Warframe: Plains of Eidolon.